This advice, given to Gregory Prestegord by his father during his childhood, has become a great part of Greg’s vision for his artwork. As an adult, Greg has realized how wise his father’s words were. The idea of reflecting the time in which he lived by painting the harsh reality, “pretty” or no, of what surrounded him resonated with Greg. 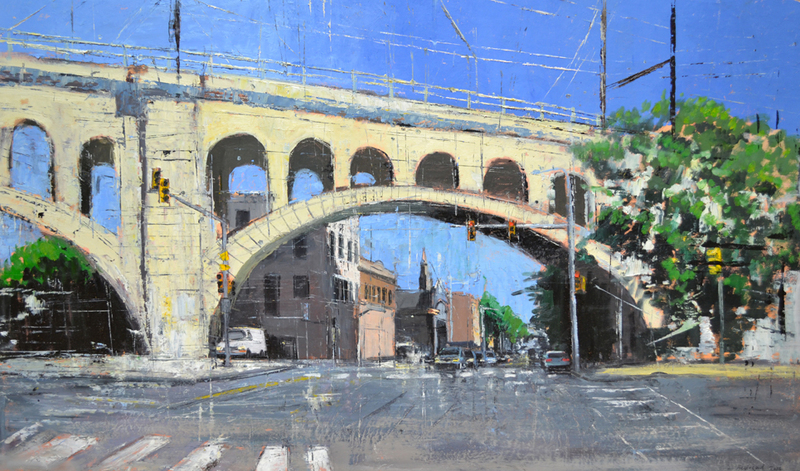 In an article featured in Artists on Art, Greg beautifully describes this vision for his artwork and what “gritty painting” means to him as he strives to portray Philadelphia with both honesty and beauty.